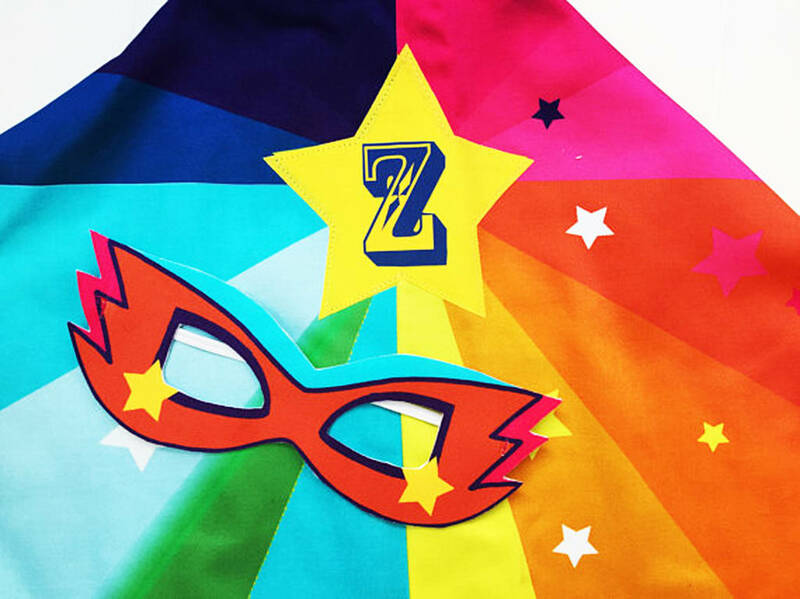 A personalised rainbow printed superhero cape with a matching mask, the perfect gift for endless wear. 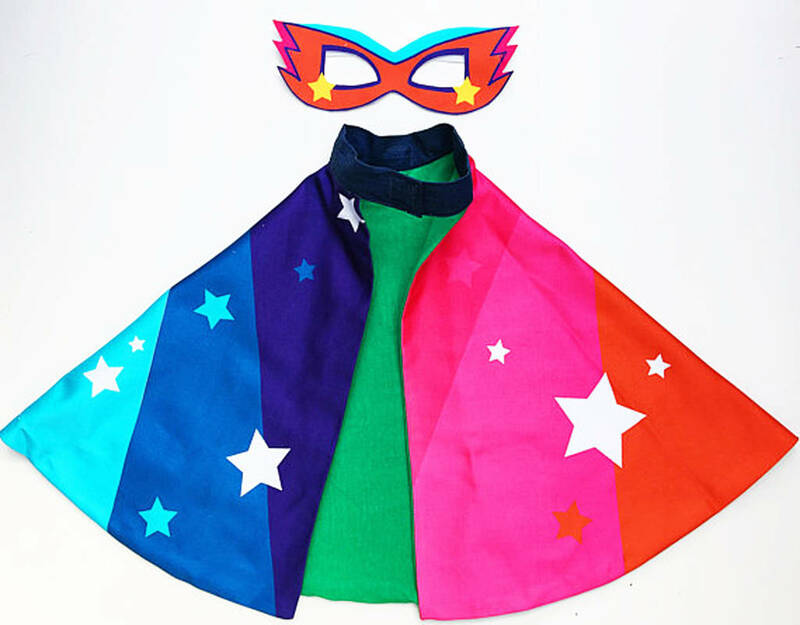 Made from high quality fabric, these capes are so vivid and bold they're sure to spark the imagination of any little super girl or boy. 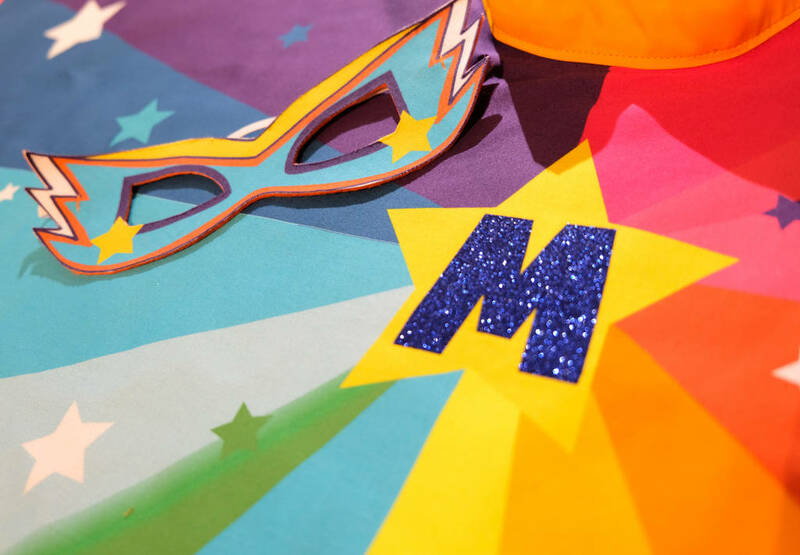 Add an initial to personalise. 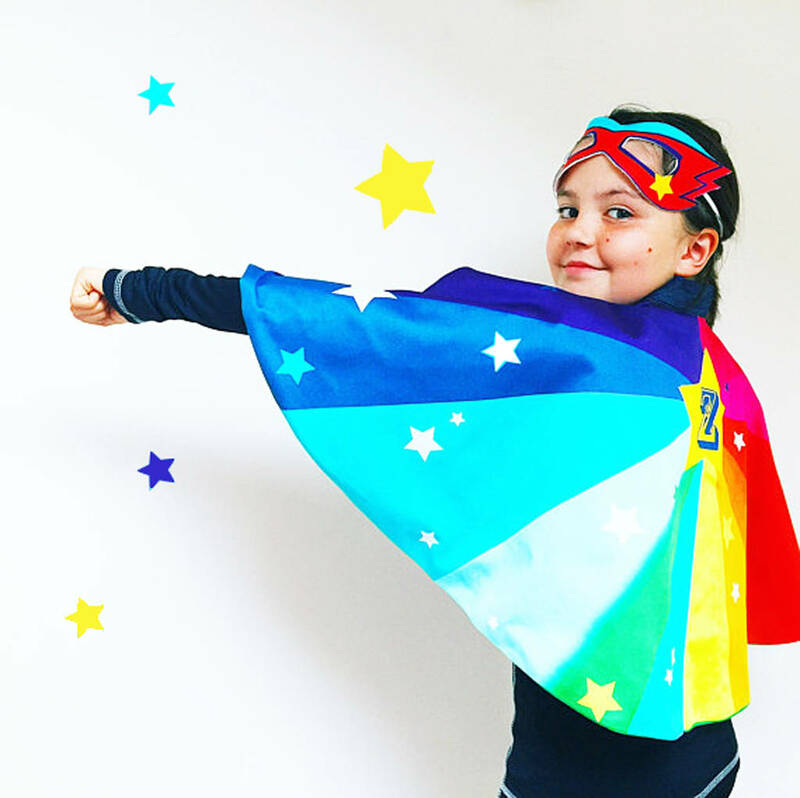 Completely unique and exclusive to Wild Things printed and made in very small batches here in the UK. 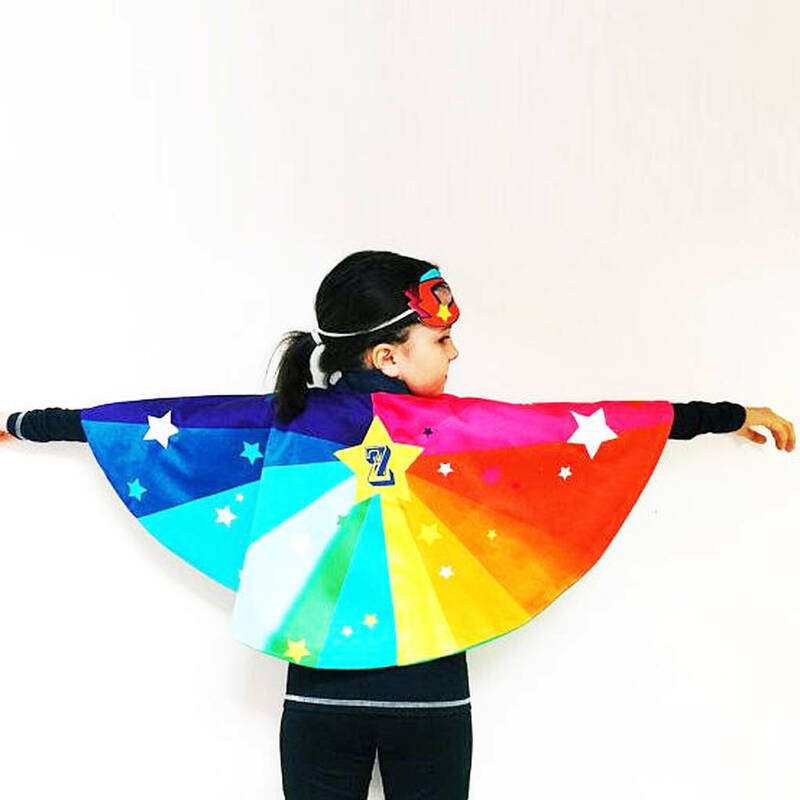 Superhero Capes are one size and suitable form 18 months to 8yrs. 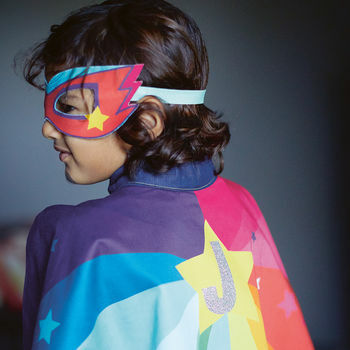 The cape measures 90cm at widest and 45cm deep. Please note capes are not intended as a toy.